Author: Steven James Keays, M.A. Sc., P.Eng. Steve Keays did it again! His breadth of knowledge has created a comprehensive view encompassing product development, project management, natural selection, physics, engineering, and molecular biology. It all comes together to take his readers into the business of new product development and money making. The central theme of the book, the “way of moving from idea to profits”, is named by the author, investment-centric innovation project management, (ICIPM). This book serves as invitation to explore a balanced framework focused on the commercial success of an invention against all the intricacies of its creation. The attentive reader will easily capture the usefulness of this book’s exceptional framework, as it emerges as a “FAQ Guide”, while the author begins to outline the process, in a step-wise fashion. The framework answer pressing questions around two distinct, yet interdependent product development paths: The Innovation Journey and the Business Journey which divide the book into Part 1 and Part 2. How to transform ideas into a commercial product? How to make an idea work, without running out of money, going beyond planned completion time, or failing? How to identify your first clients? How to determine funding sources? How to successfully transition through the development phases? How to survive threats, thrive, and grow from it? How to unveil your probability of success? How to prepare for pre-commercialization? Marta Santos currently serves on a Global Cybersecurity Transformation Program as a Program Coordinator – IT Security. Marta previously served on a Global IT Infrastructure Refresh Project after transitioning from a productive career in the Life Sciences as a Research Scientist and author on major scientific journals. She is looking forward to growing in and contributing to the Project Management profession. 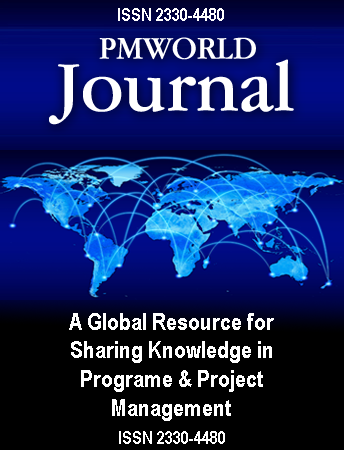 Marta’s has reviewed her favorite books on program/portfolio/project management which can be found on previous PM World Journal editions.